Festive season means lots of food, laughs, friends and family members, loads and loads of good times. With Halloween knocking on the door, Christmas is peeking from the corner. Festival also means super cleaning of the house, the smell of good food and baked cookies all around the house, decorations, gifts, new clothes and mummy being super busy. So many preparation and planning, so many lists. I know ladies, I’m doing the same…I am scouting through the internet for Christmas recipes, decorating ideas and cleaning tips. And the BIG day is not so far away. That’s why I have decided to take a few things off the shoulder for you all. 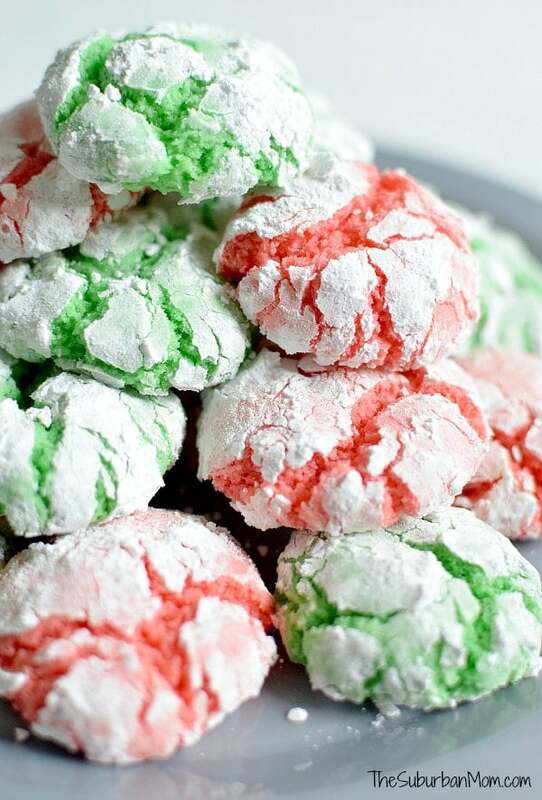 I have a list of 16 Best and Easy Christmas Cookie recipes. These cookies are not only beautiful and delicious but some of them are very easy to make too. You can mix and match icing color and create your own cookies. For my house, most of the icings will be pink, purple and blue because they are my kids’ favorite colors. Note for parents: Make extra batches of these cookies, they are super Yummy!! These cookies can be amazing handmade Christmas gifts too. I don’t know about you but if I see these cookie trees on a table then I wouldn’t be able to control myself. Oh my God! they look so yummy and I think I’m drooling…. You can play with icing color and make it suit your Christmas color or any party theme. They are a must item as they are so easy to make. These Penguins have come straight from the south pole to wish you Merry Christmas. Tieghan from halfbakedharvest has created super cute penguin cookies, you don’t feel like eating them. They are so cute and almost real. Great work!! I’m sure kids are going to fall in love with these penguins and you will love to bake these easy Christmas cookies. 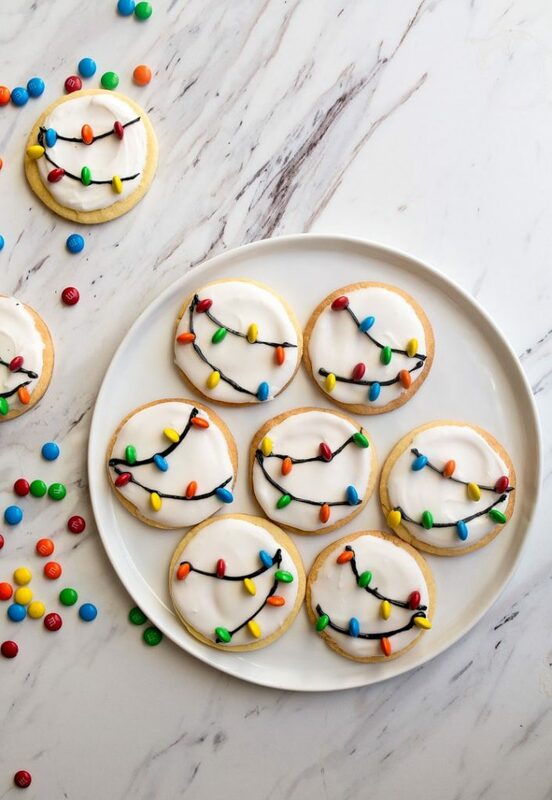 These Christmassy cake dough cookies are so flakey, colorful and yummy. You can add chocolate chips, sprinklers or any color depending on the festival. They are very easy to make and so yummy to eat. 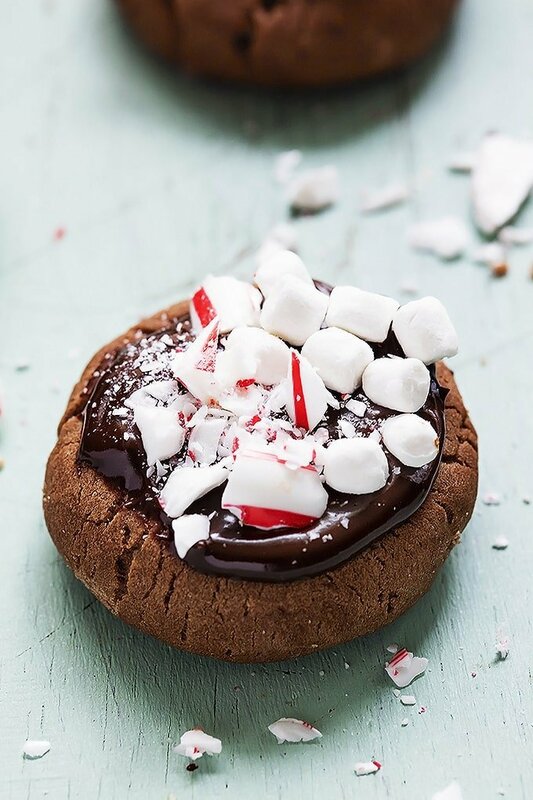 Buttery, chocolate meltaway cookies topped with chocolate ganache, mini marshmallows, and crushed peppermint sticks! Get the full recipe from LeCremeDeLaCrumb. Caution: These cookies are so yummy, you might not be able to wait till they cool down fully so advised to make an extra batch. 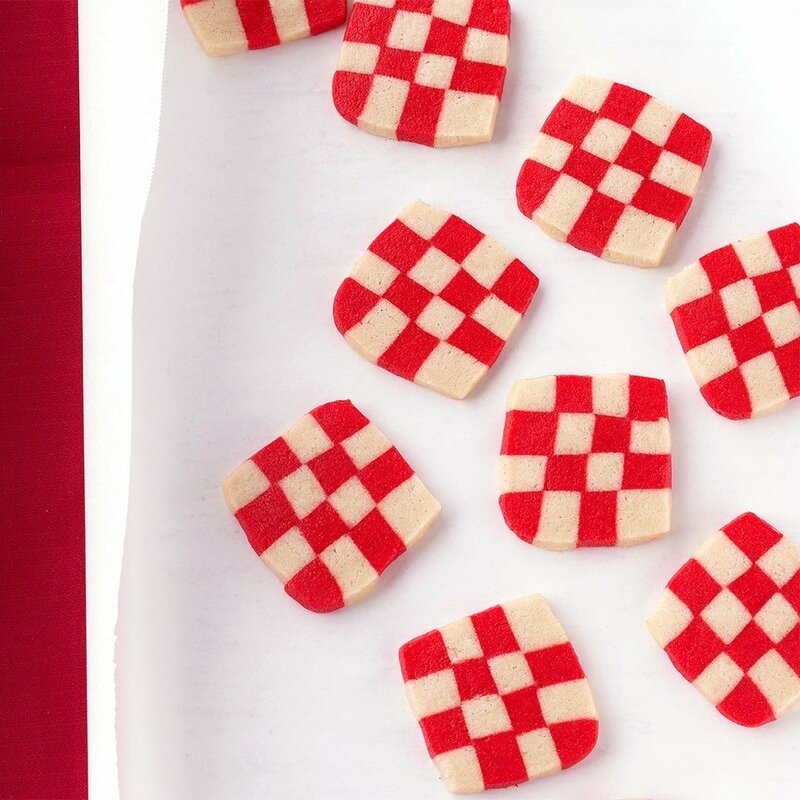 These white chocolate and peppermint cookies are bright and beautiful and match the Christmas color They will instantly add color to your cookie try decoration. You can try different colors and combination depending on your party theme and celebrations. Get the full recipe from EatingWell. This is one of my favorites from the list. These swirl sugar cookies are not only beautiful but very easy to make too. 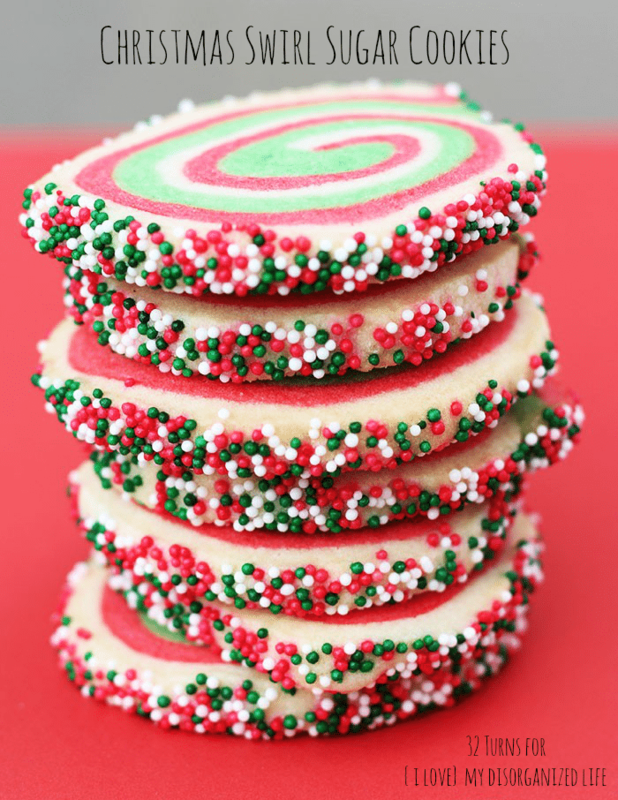 With three different food colors and some sprinkles, you have a beautiful Christmas swirl cookies. 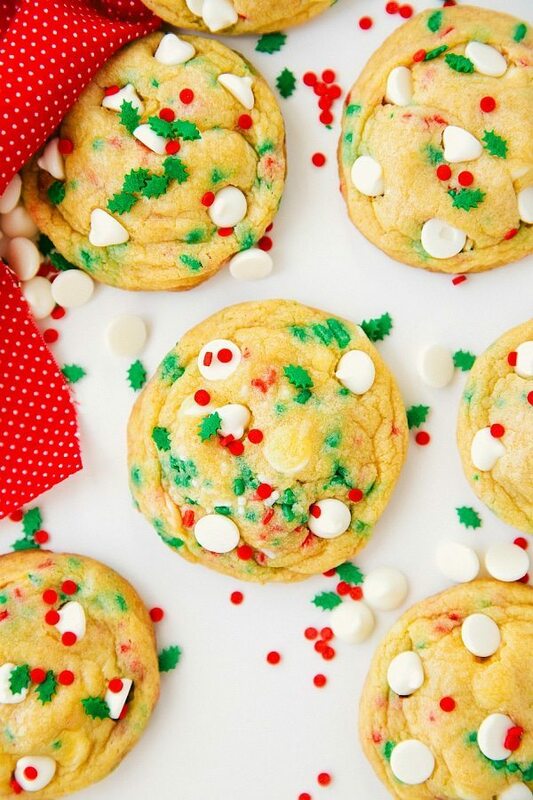 Get the full recipe of this easy Christmas cookie from ILoveMyDisorganizedLife. This is another easy Christmas cookie recipes that are so easy to bake but very beautiful and elegant outcome. I love the idea of pipping the cookie and creating amazing rosette cookies. Brilliant!! Get this easy cookies recipe at Chatelaine. I’m sure Santa will be very happy to see his Reindeers in your house. 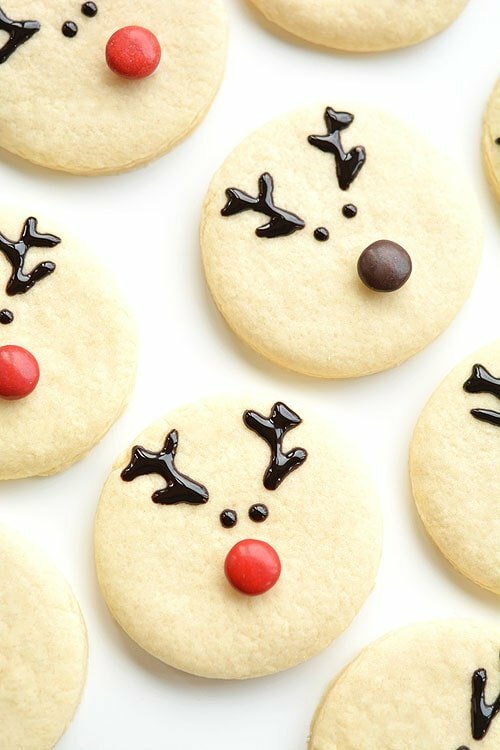 These elegant reindeer cookies look very advanced but in reality, it’s so easy to make. Let Debbie from OneLittleProject show you how??? This is must bake in my list. What about you???? Are these suppose to be eaten or only for decoration??? 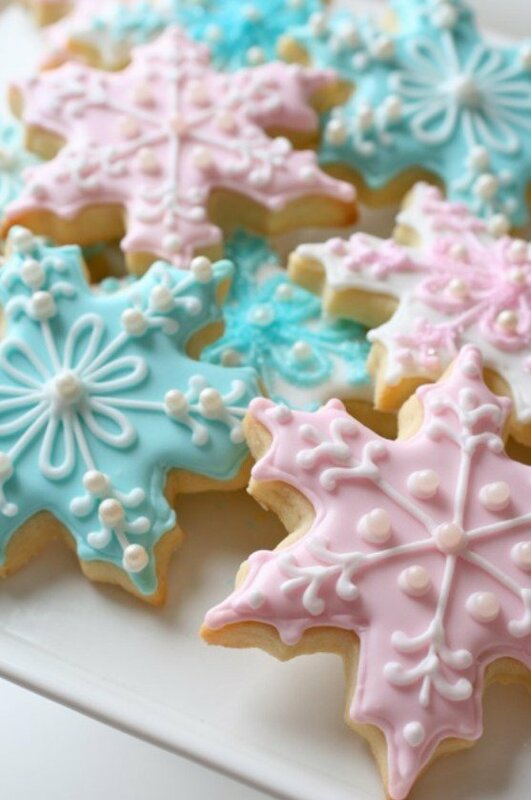 You can turn any normal cookies into this Outstanding Snowflakes cookies by adding some royal icing. 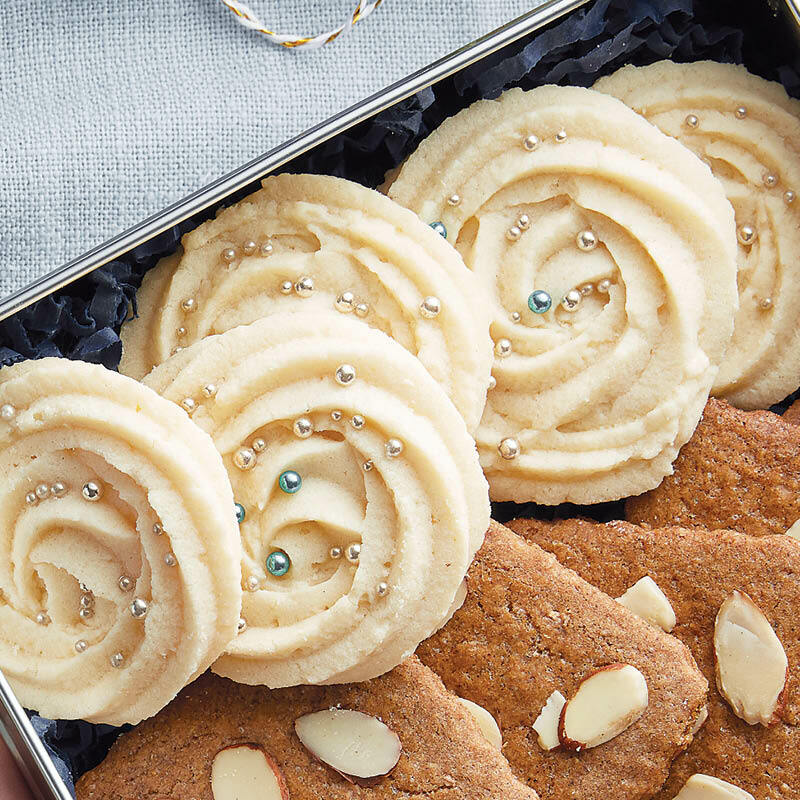 Learn how to create these beautiful cookies from Annie from EverydayAnnie. She has done a wonderful job. 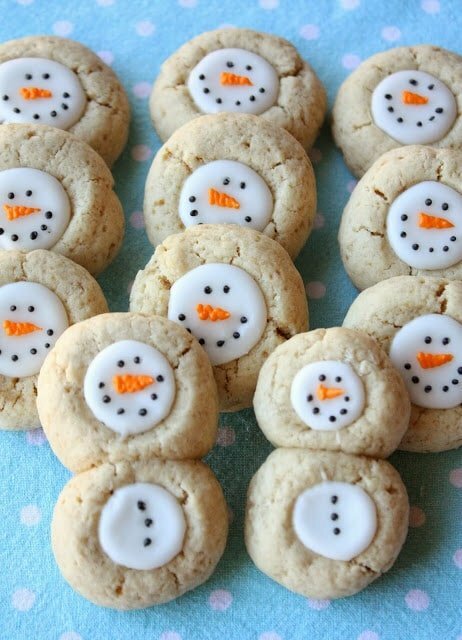 These cute thumbprint snowman cookies baked by Katrina from InKatrina’sKitchen. 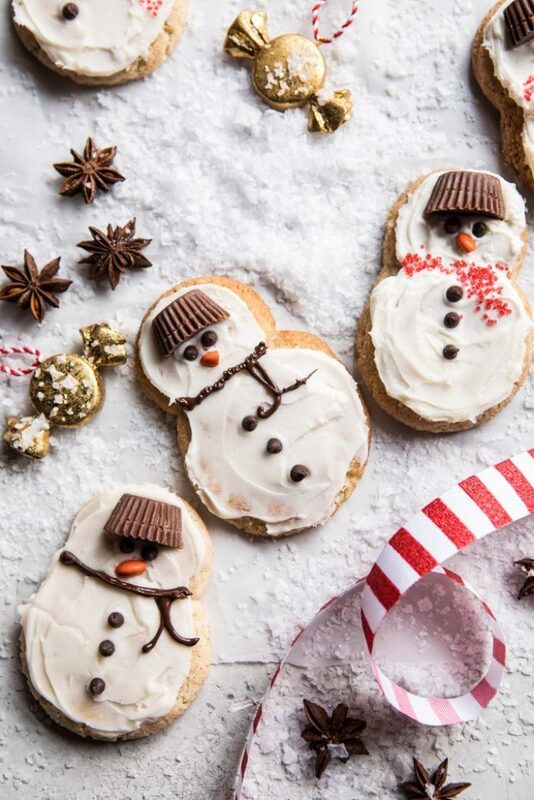 Kids are going to be so happy to see these cute snowman cookies, I guess happier than Anna or Elsa. Convert your regular cookies into Christmas cookies by adding Christmas colors to your cookie dough. Get the full recipes from TheSubUrbanMom. Lighting is a must during Christmas and what if you have them on cookies, even better??? Yaay…I knew it. I am sure you are going to love making these cookies and you kids gonna be so happy to eat them. And what about guests??? Get the full instruction from Kristina Lane from Dessertfortwo. Christmas trees on your plates??? Yes, you got it right. 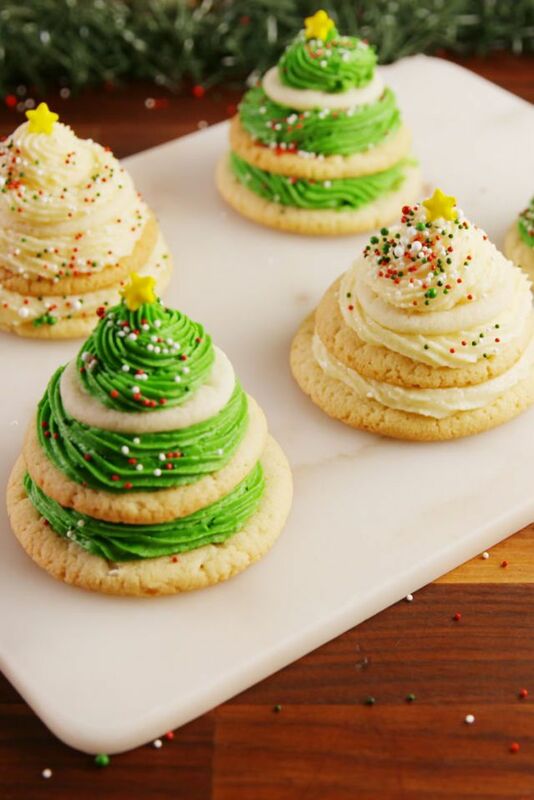 Mona from Queen of my Kitchen has made raspberry Christmas cookie trees that look exactly like real Christmas tree. These raspberry filled cookie trees are so attractive and I’m sure very yummy too. 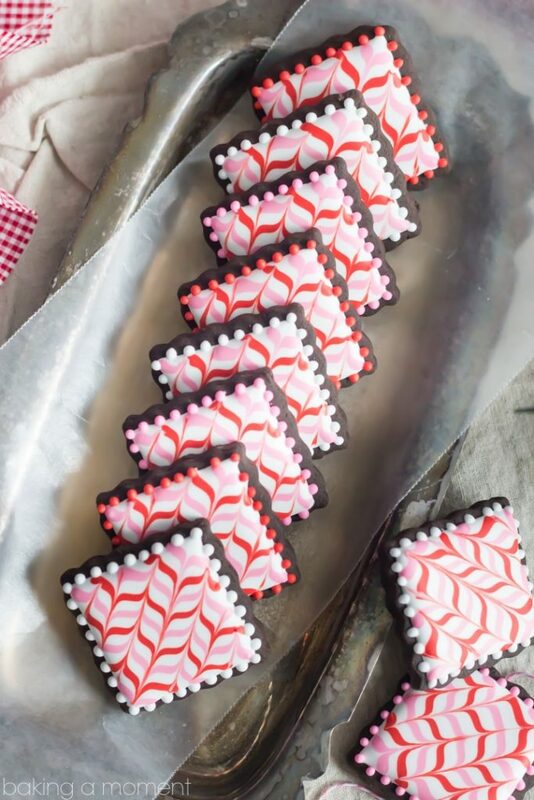 Allie from BakingAMoment has created these amazing Dark Chocolate Peppermint Sugar Cookie Cut-Out which is decorated with Pink and Red Candy Cane Stripes of Royal Icing. These cookies can be a great gift item too. 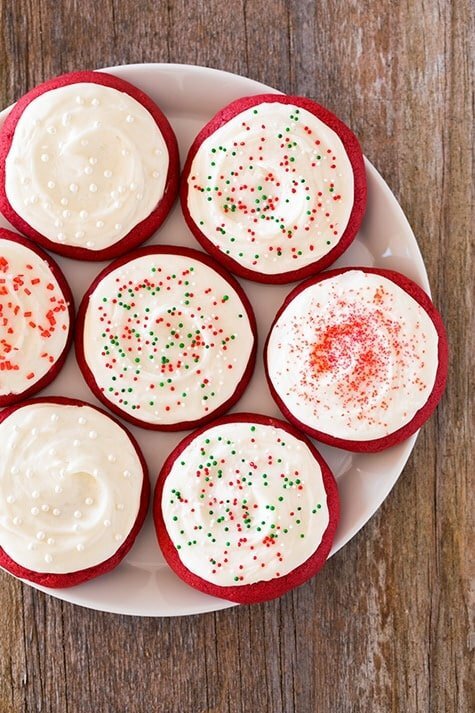 Red is the color of Christmas and these easy red-velvet cookies are already in Christmas mode without even the toppings. You can add an extra layer of toppings and sprinklers and take these cookies to a different level. Get the full idea from Joclyn from CookingClassy. Can’t think Christmas without gingerbread cookies. 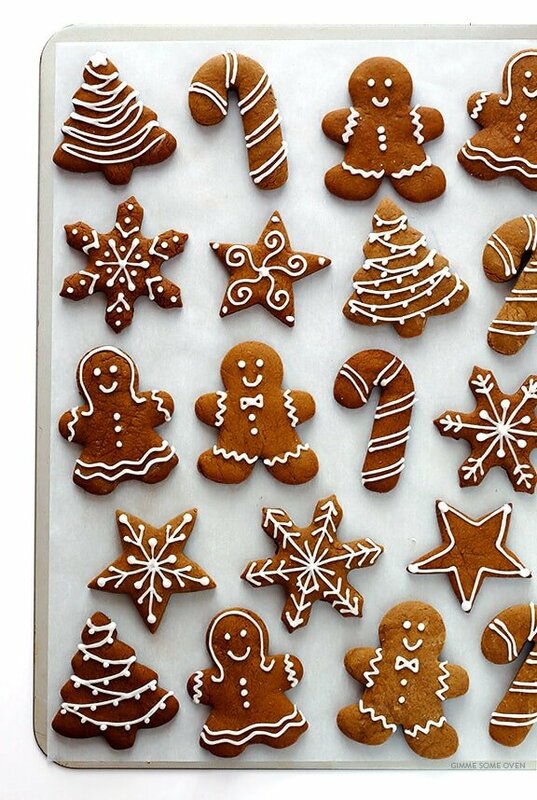 Ana from GiveMeSomeOven has amazing gingerbread cookie recipes. 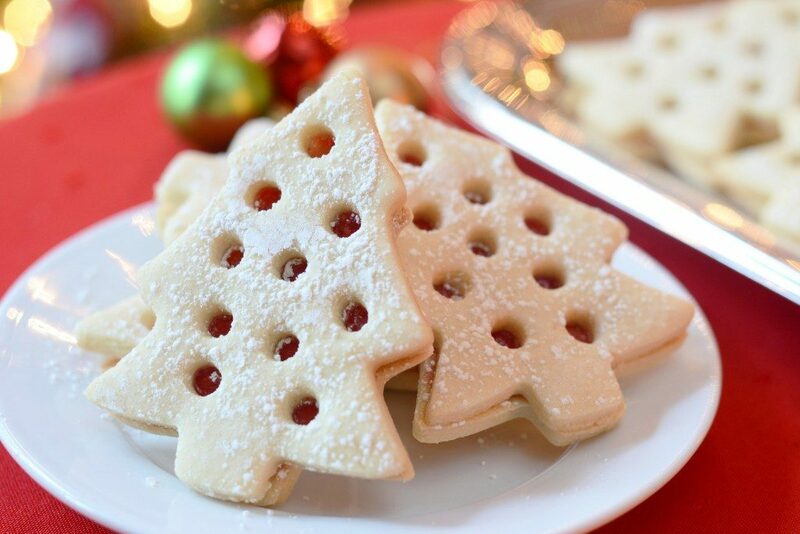 These easy Christmas cookies are must try for this Christmas. You need cookie cutters in different shapes and you have the whole set of gingerbread Christmas cookies to decorate your Christmas table. OMG!! I am not sure which cookie recipes to choose. 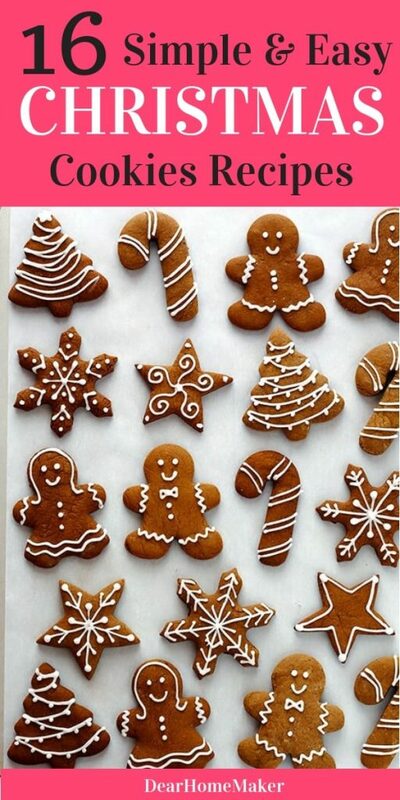 All of these easy Christmas cookie recipes are so beautiful, colorful and easy to make that I am not able to decide now. What about you guys??? Did you find your favorite Christmas cookie recipe??? Do you have your special Christmas cookies recipe??? Do share with us in the comment below. 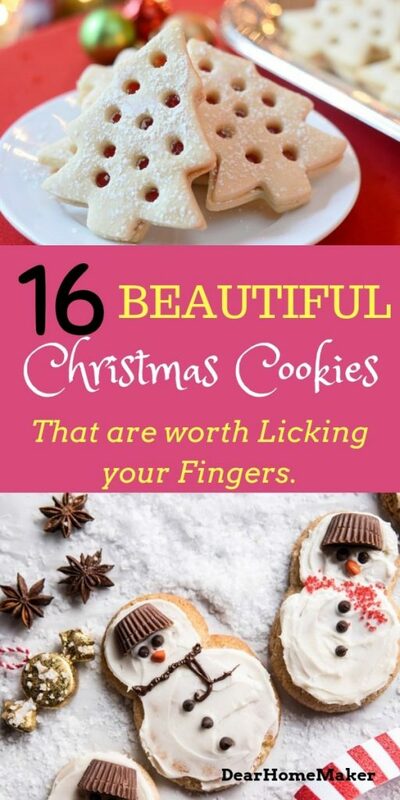 I hope you liked these cookies recipes – 16 Best and Easy Christmas Cookie Recipes. Do share with your family and friends. If you like then follow me at Pinterest and like my Facebook page.